This part-time blended learning for programme is for individuals teaching arts programmes at Higher Education level (SCQF Levels 7 to 12, or equivalent) who wish to professionally develop their learning, teaching and assessment methods and skills in an arts context. Part-time study means that you can study the programme alongside and through your existing professional roles. On paper, the study hours nominally equate to around 8-10 hours a week, however as much of the study is situated in your current practice, a great deal of this time is likely to be undertaken as part of your everyday work. Blended learning means that these programmes are delivered through a blend of face-to-face weekend seminars, online classes and one-to-one tutorials. Over the academic year we have 6 days of face-to-face seminars (delivered over 4 weekends). We have live online classes running approximately every second Thursday evening. All other tutorials are arranged to suit your availability. The delivery model is designed to create a community of reflective teaching artists who are encouraged to work both collaboratively and independently, share effective practice and provide peer support and evaluation. 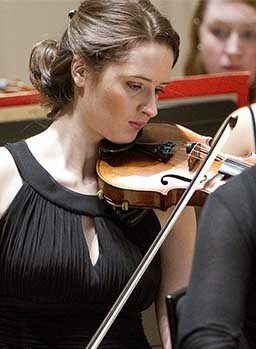 Face-to-face sessions are built around weekend seminars hosted at the Conservatoire. Successful applicants are expected to be qualified/experienced to teach in their arts subject discipline and must be working in a university/college or other relevant participatory setting, teaching at SCQF levels 7 or above (or equivalent). The programme carries 60 SCQF Credits at SCQF Level 11. The programme is mapped to the UK Professional Standards for Learning and Teaching in Higher Education (UKPSF) and accredited by the AdvanceHE. On successful completion of this qualification you will gain a PG Cert in Learning and Teaching in Higher Arts Education qualification, Fellow recognition with AdvanceHE (FHEA), and will have generated evidence of your commitment to, and professionalism in, learning and teaching in a performing arts discipline(s), leading to increased employability as a teaching artist within a range of HE and FE contexts. What is most valuable about the programme? In the first module, ‘Approaches to Critical Artistry’, you will develop critical and scholarly reflection by critically exploring your learning priorities as both an artist and teacher. In the ‘Teaching Artist’ module, you will have the opportunity to critically explore your practice in light of the policies and learning theories that are relevant to your teaching in the Higher Education sector. You will deliver and evaluate two short teaching sessions designed to meet the needs of your learners. In ‘Project (PG Cert)’ you will design, deliver and evaluate a practice-based research project that will enhance the development of identified learners working at SCQF level 7 or above in your performing arts context. 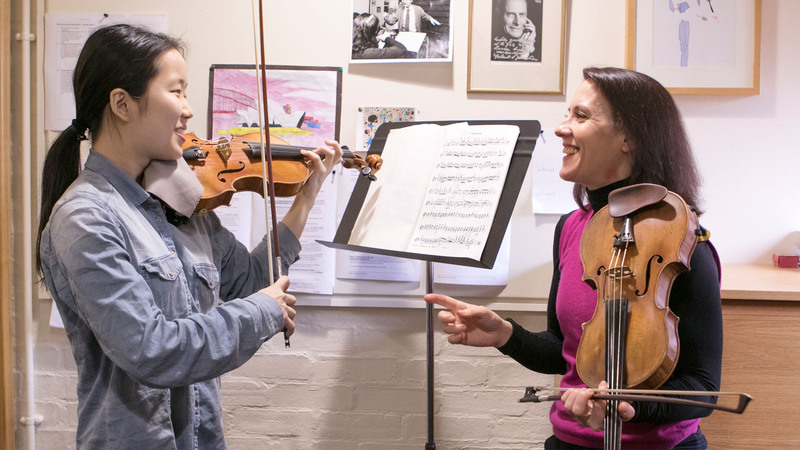 The programme is designed specifically for individuals teaching arts subjects at Higher Education level in a range of contexts including Conservatoires, small specialised HE arts institutions, Colleges and Further Education and across a range of participatory settings. The programme is mapped to the UK Professional Standards for learning and teaching in Higher Education (UKPSF). Successful completion demonstrates that your practice is aligned to UKPSF. The programme is accredited by the HE Academy and can lead to attainment of Associate Fellow or Fellow status. Successful achievement will entitle you to use post nominal letters (AFHEA or FHEA). Applicants are expected to be working in a Higher Education context (e.g. FE College or Higher Education Institution) either full-time or part-time in an arts lecturing or teaching role where they are teaching at SCQF level 7 or above (or equivalent for other UK or International applicants). Applicants are expected to have a good degree, or its overseas equivalent, in an arts subject area relevant to the demands of the programme. Is teaching and supporting learners in a HE Context (SCQF Level 7 or above (or equivalent). Has a sufficient amount of teaching to undertake the practical work in the Programme. Demonstrates commitment to initial or continuing professional development in teaching and supporting learners. Exhibits the professional values for teaching and supporting learners in an HE Context. Understands and demonstrates ability to commit the time needed to participate fully in the Programme. Has the support of their line manager/ employer to undertake and complete the Programme. International English Language Testing System Score (IELTS) (if applicable). Level 7.5 with a minimum score of 7.5 in speaking. 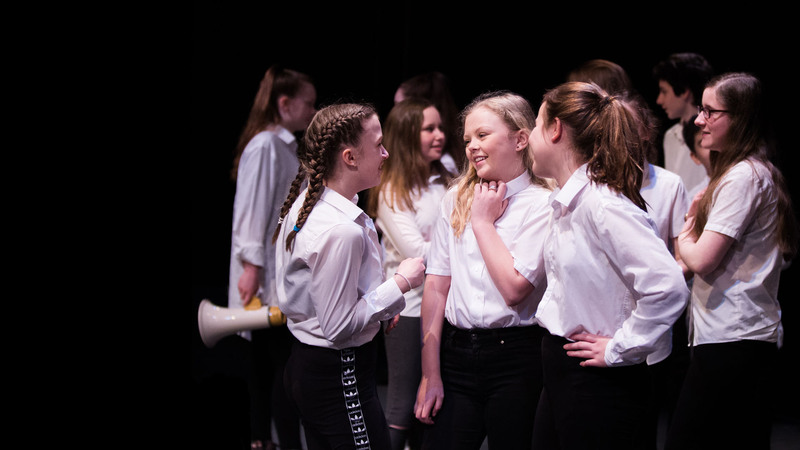 Teaching Artist (20 credits) – this module is delivered in year 1 and is designed to allow you to explore and enhance your teaching practice through the development of learning experiences that are appropriate to your learners’ needs, level and context. You will design, deliver and evaluate two observed sessions for your learners that have been designed around relevant guidelines and learning theories. Project (PG Cert) (30 credits) – this module begins in year 1 and completes in year 2 and provides an opportunity for you to develop, deliver and evaluate a practice-based research project within your teaching context. Within this module you will design an intervention designed to enhance the learning experience for your pupils, and then to use feedback data to evidence the success of your project and highlight priorities for ongoing development. These modules have been accredited by AdvanceHE and as such your study on these modules provide an opportunity to demonstrate that you are working to Descriptor 2 of the UK Professional Standards Framework and are eligible for Fellow of the Higher Education Academy. Apply to the Postgraduate Certificate in Learning and Teaching in Higher Arts Education by emailing admissions@rcs.ac.uk. More information can be found on our how to apply page.